Cai WF, Liu GS, Lam CK, Florea S, Qian J, Zhao W, Pritchard T, Haghighi K, Lebeche D, Lu LJ, Deng J, Fan GC, Hajjar RJ, Kranias EG. (2015) Up-regulation of micro-RNA765 in human failing hearts is associated with post-transcriptional regulation of protein phosphatase inhibitor-1 and depressed contractility. Eur J Heart Fail. 2015 Aug;17(8):782-93. doi: 10.1002/ejhf.323. Epub 2015 Jul 15. PubMed PMID: 26177627. Florea S, Anjak A, Cai WF, Qian J, Vafiadaki E, Figueria S, Haghighi K, Rubinstein J, Lorenz J, Kranias EG. (2012) Constitutive phosphorylation of inhibitor-1 at Ser67 and Thr75 depresses calcium cycling in cardiomyocytes and leads to remodeling upon aging. Basic Res Cardiol. 2012 Sep;107(5):279. doi:10.1007/s00395-012-0279-z. Epub 2012 Jul 10. PubMed PMID: 22777184; PubMed Central PMCID: PMC3587163. Qian J, Vafiadaki E, Florea SM, Singh VP, Song W, Lam CK, Wang Y, Yuan Q, Pritchard TJ, Cai W, Haghighi K, Rodriguez P, Wang HS, Sanoudou D, Fan GC, Kranias EG. (2011) Small heat shock protein 20 interacts with protein phosphatase-1 and enhances sarcoplasmic reticulum calcium cycling. Circ Res. 2011 Jun 10;108(12):1429-38. doi: 10.1161/CIRCRESAHA.110.237644. Epub 2011 Apr 14. PubMed PMID: 21493896; PubMed Central PMCID: PMC3125589. Qian J, Ren X, Wang X, Zhang P, Jones WK, Molkentin JD, Fan GC, Kranias EG. (2009) Blockade of Hsp20 phosphorylation exacerbates cardiac ischemia/reperfusion injury by suppressed autophagy and increased cell death. Circ Res. 2009 Dec 4;105(12):1223-31. doi: 10.1161/CIRCRESAHA.109.200378. Epub 2009 Oct 22. PubMed PMID: 19850943; PubMed Central PMCID: PMC2799045. Wang X, Zhao T, Huang W, Wang T, Qian J, Xu M, Kranias EG, Wang Y, Fan GC. (2009) Hsp20-engineered mesenchymal stem cells are resistant to oxidative stress via enhanced activation of Akt and increased secretion of growth factors. Stem Cells. 2009 Dec;27(12):3021-31. doi: 10.1002/stem.230. PubMed PMID: 19816949; PubMed Central PMCID: PMC2806498. Ren XP, Wu J, Wang X, Sartor MA, Qian J, Jones K, Nicolaou P, Pritchard TJ, Fan GC. (2009) MicroRNA-320 is involved in the regulation of cardiac ischemia/reperfusion injury by targeting heat-shock protein 20. Circulation. 2009 May 5;119(17):2357-66. doi: 10.1161/CIRCULATIONAHA.108.814145. Epub 2009 Apr 20. PubMed PMID: 19380620; PubMed Central PMCID: PMC2746735. Nicolaou P, Rodriguez P, Ren X, Zhou X, Qian J, Sadayappan S, Mitton B, Pathak A, Robbins J, Hajjar RJ, Jones K, Kranias EG. (2009) Inducible expression of active protein phosphatase-1 inhibitor-1 enhances basal cardiac function and protects against ischemia/reperfusion injury. Circ Res. 2009 Apr 24;104(8):1012-20. doi: 10.1161/CIRCRESAHA.108.189811. Epub 2009 Mar 19. PubMed PMID: 19299645; PubMed Central PMCID: PMC2752882. Zhao W, Waggoner JR, Zhang ZG, Lam CK, Han P, Qian J, Schroder PM, Mitton B, Kontrogianni-Konstantopoulos A, Robia SL, Kranias EG. (2009) The anti-apoptotic protein HAX-1 is a regulator of cardiac function. Proc Natl Acad Sci U S A. 2009 Dec 8;106(49):20776-81. doi: 10.1073/pnas.0906998106. Epub 2009 Nov 17. PubMed PMID: 19920172; PubMed Central PMCID: PMC2791603. Fan GC, Zhou X, Wang X, Song G, Qian J, Nicolaou P, Chen G, Ren X, Kranias EG. (2008) Heat shock protein 20 interacting with phosphorylated Akt reduces doxorubicin-triggered oxidative stress and cardiotoxicity. Circ Res. 2008 Nov 21;103(11):1270-9. doi: 10.1161/CIRCRESAHA.108.182832. Epub 2008 Oct 23. PubMed PMID: 18948619; PubMed Central PMCID: PMC2763388. Fan GC, Yuan Q, Song G, Wang Y, Chen G, Qian J, Zhou X, Lee YJ, Ashraf M, Kranias EG. (2006) Small heat-shock protein Hsp20 attenuates beta-agonist-mediated cardiac remodeling through apoptosis signal-regulating kinase 1. Circ Res. 2006 Nov 24;99(11):1233-42. Epub 2006 Oct 26. 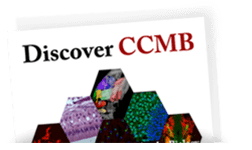 PubMed PMID: 17068291. Zhao W, Yuan Q, Qian J, Waggoner JR, Pathak A, Chu G, Mitton B, Sun X, Jin J, Braz JC, Hahn HS, Marreez Y, Syed F, Pollesello P, Annila A, Wang HS, Schultz Jel J, Molkentin JD, Liggett SB, Dorn GW 2nd, Kranias EG. (2006) The presence of Lys27 instead of Asn27 in human phospholamban promotes sarcoplasmic reticulum Ca2+-ATPase superinhibition and cardiac remodeling. Circulation. 2006 Feb 21;113(7):995-1004. Epub 2006 Feb 13. PubMed PMID: 16476846. Pathak A, del Monte F, Zhao W, Schultz JE, Lorenz JN, Bodi I, Weiser D, Hahn H, Carr AN, Syed F, Mavila N, Jha L, Qian J, Marreez Y, Chen G, McGraw DW, Heist EK, Guerrero JL, DePaoli-Roach AA, Hajjar RJ, Kranias EG. (2005) Enhancement of cardiac function and suppression of heart failure progression by inhibition of protein phosphatase 1. Circ Res. 2005 Apr 15;96(7):756-66. Epub 2005 Mar 3. PubMed PMID: 15746443. Zhao W, Uehara Y, Chu G, Song Q, Qian J, Young K, Kranias EG. (2004) Threonine-17 phosphorylation of phospholamban: a key determinant of frequency-dependent increase of cardiac contractility. J Mol Cell Cardiol. 2004 Aug;37(2):607-12. PubMed PMID: 15276030.